The Industry 4.0 initiative poses great challenges to the world, countries and companies connected with the provided digital transformation and the new intelligent technologies in all areas of the industry. This requires the development and follow-up of a national strategy for the adoption and implementation of Industry 4.0. It is important in this case to assess the Industry 4.0 readiness of each country for transformation and change. 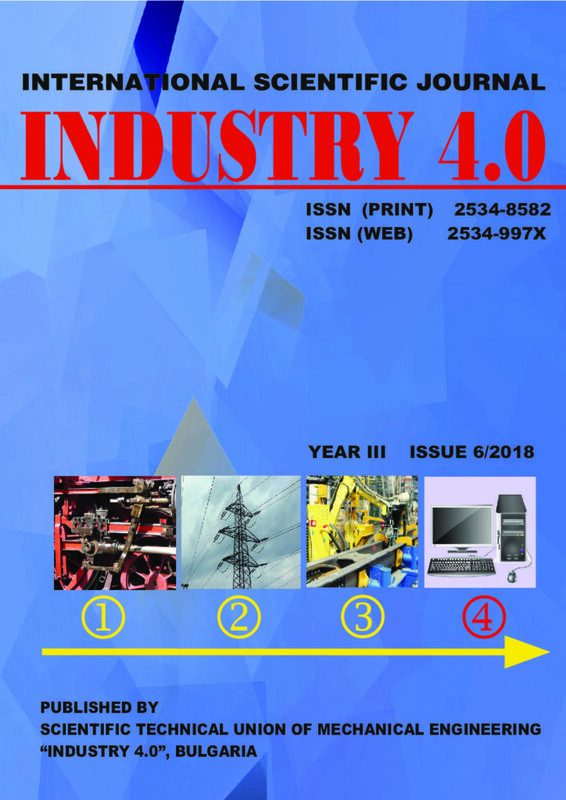 The main aim of the paper is to present, analyse and compare some of the most promised existing approaches for calculation of Industry 4.0 readiness at national level. Some results are presented and compared. The paper deals with the development of a new type of production planning and control in a wood-processing company. The production is already highly automated and data from the production processes are gathered and stored in a database. The project picks up these technical basements in order to automatically provide intelligent decisions and make the factory even smarter. Computer-aided information flow affects the operating efficiency of manufacturing companies. Personalised IT solutions (PITS) may appear to be helpful. The article discusses the rationale and requirement for the use of computer-aided solutions at manufacturing companies and the practical applications of such solutions in selected areas. Computer-aided management of technical documentation (CAMTD), computer aided items design (CAID) and total productive maintenance (CATPM) and options of further work have been proposed. These solutions were prepared in the form of DBMS systems. The final solution will be to integrate PITS into the IT system supporting the information flow in the production company. Digital transformation, new business models development and business processes automation ranks among the key business concerns and company priorities. In this context, smart services propose new models for service automation, combining data, analytical components and physical infrastructure in unique customer offerings. The present research aims to present the smart services potential, exploring its characteristics, perspectives and fields of application. First, the paper makes an overview of smart services features and concepts, then, it determines smart services perspectives and last, it presents use cases and industry sectors for smart services implementation. Speaking about Industry 4.0 we can’t help mentioning the role of optical sensors in building automation, especially in smart factories and automation of SCADA system. Building smart factories in concept of Industry 4.0 requires intelligent sensors and seems relevant. The paper considers management system of distributed factory and information security of it if there are used optical sensors. This article describes part of the results obtained during the development of a new generation of vaccine adjuvants based on nanostructured hydroxyphosphates of tunable composition and physicochemical characteristics. Colloidal gels of ferric hydroxyphosphates of various iron/phosphate ratios were prepared by precipitation techniques, sterilized by autoclaving and analyzed by transmission electron microscopy (TEM) and dark-field optical microscopy. The obtained materials were composed of a network of amorphous nanoparticles (<20 nm in size) that were aggregated into micron-sized structures in physiological saline. Preliminary adsorption experiments indicated the ability of the obtained materials to adsorb protein substances, which is an important prerequisite for their potential application as vaccine adjuvants and further optimization of the production process to achieve reproducibility of the physicochemical characteristics. APPLICATION OF MODERN TECHNOLOGIES AND DEVELOPMENTS IN THE RECONSTRUCTION OF “GRAF IGNATIEV” BLVD. In view of the projects, which are being implemented in the second programming period 2014-2020 by the metropolitan municipality, a reconstruction of Graf Ignatiev Blvd was planned. An important part of it is the construction of the railway track. In fulfilment of the requirement for the elaboration of a diploma thesis on this topic, a number of options for implementation of the project, which apart from applied have a cognitive value. They meet the requirements for interoperability of technical infrastructure in relation to Commission Regulation (EU) No 1299/2014 of 18 November 2014 concerning the technical specifications for interoperability relating to the infrastructure subsystem of the rail system in the European Union . One of the main problems in the plastic deformation of materials is the determination of the coefficient of friction as well as the subsequent application of the simulation for comparative analysis. However forecasting process and matching between simulation and experimental data is still a problem. Causes of this are factors such as roughness, mechanical properties of the material, chemical composition, etc. which strongly influence the behavior of the material in the simulation of the process. In this study, an approach is proposed to determine the changeable coefficient of friction in the deformation process experimentally, taking into account implicitly the influence of surface roughness on the friction curves. For the comparative analysis between experiment and simulation of the process, the experimental data for objective assessment was introduced. Nevertheless, there are differences between experiment and simulation, which is most evident in high loads, using lubricants differing from more than 12 units for graphite lubricant, with more than 6 units with oil and with dry friction with 8 units. The structure of the diamond is usually represented as two face-centered cubic cell with the same dimensions, which are shifted relative to each other by the value of +/-(1/4.1/4.1/4) That is eight different ways. However, in this case, there is a possibility of only two enantiomorphous centers, which have the same ф (hkl ) j . They do not affect on the reciprocal lattice, but allow to explain, for example, the presence of twins. The introduction of the concept of the scattering center of diamond shows that his point group is Fm3m with the full symmetry formula 3L44L3(4L3i)6L29PC, whereas the generally accepted model of the diamond structure does not correspond to such symmetry. For example, the L4 axis is missing, C is not at the origin of coordinates, there is only one L3 axis along the diagonal along which the sublattices are shifted, etc. Industry analysts are predicting that the next decade of innovation, productivity and growth in manufacturing will be driven by the demand for mass customization and the convergence of technologies that will enable a new generation manufacturing IT platform for “smart manufacturing” which includes advances in connected factory automation, robotics, additive manufacturing, mobile, cloud, social, and digital 3D product definition. The new generation of smart machines for manufacturing will have on board computers that will directly support internet protocols and direct communication with enterprise applications. Cloud computing is one of the technology stacks of Smart manufacturing and a service delivery model that is opening new opportunities for manufacturers. This paper describes what is “Smart manufacturing” that goes beyond smart machines, Industrial Internet of Things (IIoT) and Industry 4.0 and explores how cloud computing can help achieve Smart Manufacturing goals to optimize processes inside the factory. The manufacturing industry is facing high competitiveness from rivals and high demands from customers. Industry 4.0, as a new manufacturing paradigm, also imposes its demands. The main driver of Industry 4.0 is the development of new innovative technologies including information and communication technologies whose rapid development has given impetus to the development of automated data acquisition systems. The RFID technology is one of the key technologies for intelligent manufacturing that encompasses advanced information and manufacturing technologies. Although the RFID technology is used in Croatia (mostly for identifying persons, access control, payment control, etc. ), there is no wider use of the RFID technology in the industry where the main problem of low competitiveness is caused by low levels of innovative capabilities and obsolete technological equipment. The EU strategic documents (e.g. Europe 2020, Digitising European Industry initiative) encourage the digital transformation of industry (with an emphasis on investment in technology and innovation). One of the goals of the Industrial Strategy of the Republic of Croatia 2014-2020 is to increase productivity. To achieve this goal and improve competitiveness it is necessary to increase the use of the RFID technology in industry as the basis for digital transformation. The goal of this paper is twofold: to present bibliometric literature review on the RFID technology, and to present advantages of the RFID technology in the context of intelligent manufacturing with reference to the case of Croatian economy. In the context of highly competitive global markets, challenging customer needs and increasing dynamics of business environment, businesses try to identify and apply the most effective practices whose enforcement will lead to superior performance. It becomes necessary for businesses operating in competitive environment to efficiently generate, disseminate and respond to market information. Market orientation is a concept that has appeared as a significant predictor of business performance. The main aim of the paper is to examine market orientation of businesses operating in Slovakia through MARKOR measurement method with the respect to business performance measured through the financial and non-financial indicators. The MARKOR method enables to gain information about specific behavioural reactions of business on critical aspects of a market such as competition, customers, regulation, social and macroeconomic forces. Research findings may help businesses to identify the most relevant elements that subsequently could be implemented with the intention of reaching better position on the market. The text focuses on selected aspects of critical thinking in the context of leadership in a modern security environment, from the point of view of selecting and preparing professionals and leaders. It discusses, in particular, the changes in the professional quality requirements related to the development of industry and society 4.0 as well as selected situational and systemic contexts in which the critical thinking applies in the process of cognition, decision making, and action of professional leaders. Prevention 4.0 as part of the enterprise’s safety culture is developing HSE management system to address new challenges in prevention. Industry 4.0 anticipates new linkages between technology, man, and management systems to apply the most efficient IT systems to ensure the flexibility of the production process so that its output is a product that takes into consideration customer requirements. These changes include the existence of new types of risk due to the change of the position of man from the classical production centers to the area of superstructure activities, programmer, setter, maintainer, security technician for the digitization of production processes. Risk identification is based on defining the hazards and threats of a complex manufacturing system in the context of Safety and Security – Sa&Se, their formulation so that characteristic parameters can be efficiently digitized within the manufacturing process.